Loving florals this spring? Check out this long sleeve dress from Shein.com! It's only $35.00!! The dress in heavy in weight, lined and runs a little big. I love a long sleeve dress for the cooler spring days. This fabric has beautiful, vibrant colors and works great with a bright shoe! Mine are Vibrant Fuchsia from Lord & Taylor. They are the perfect height for everyday wear. I love the tie tassels, which are very on trend right now. Enjoy! 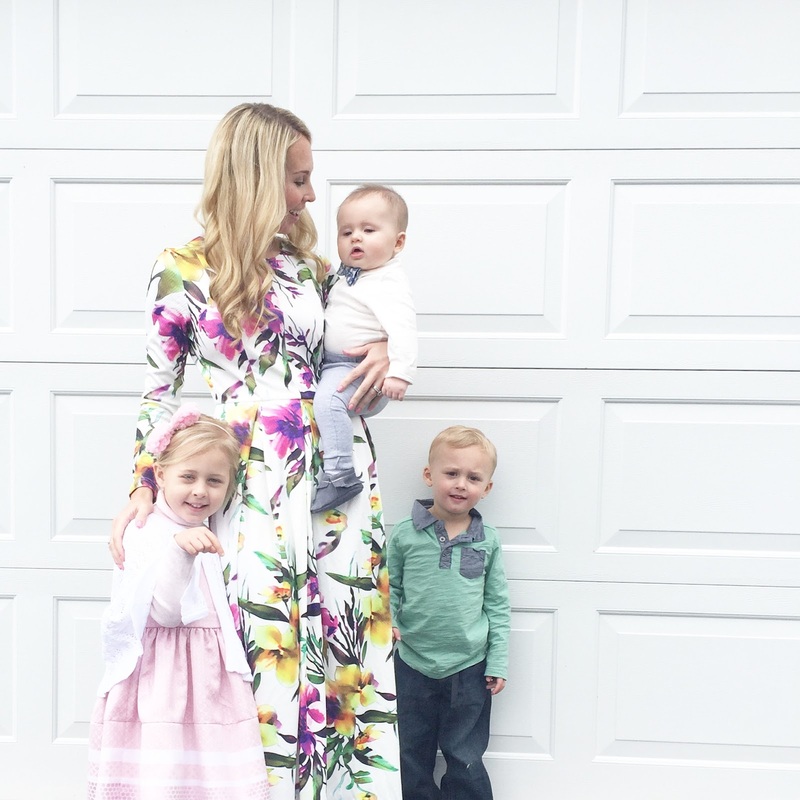 The boys outfits are Old Navy and Chloe's dress is Tahari!